South Korea Incheon International Airport is located at the reclaimed land between Yongyu Island and Yeongjong Island west of Incheon city. It's around one hour driving distance from South Korea capital, Seoul city. Based on Switzerland Geneva Airport Council International report, Incheon International Airport had been awarded "Best in Service Award in Class" for 6 consecutive years from 2005 to 2010. Architectural design of Incheon International Airport is truly unique. It fully reflects the perseverance spirit of Korean. 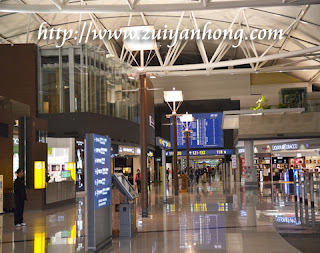 In addition to "Best in Service Award in Class", Incheon International Airport also listed as "Best Airport Worldwide". 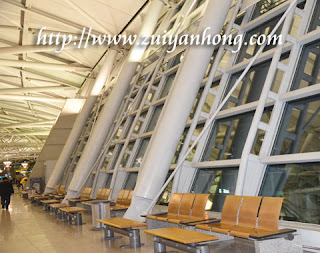 Currently, Incheon International Airport is one of the busiest airports in the world in terms of passengers. Incheon International Airport had successfully narrowed the gap between South Korea and the whole world. At the same time, Incheon International Airport also has contributed to South Korea economic growth. That's why Koreans are proud of their Incheon International Airport.